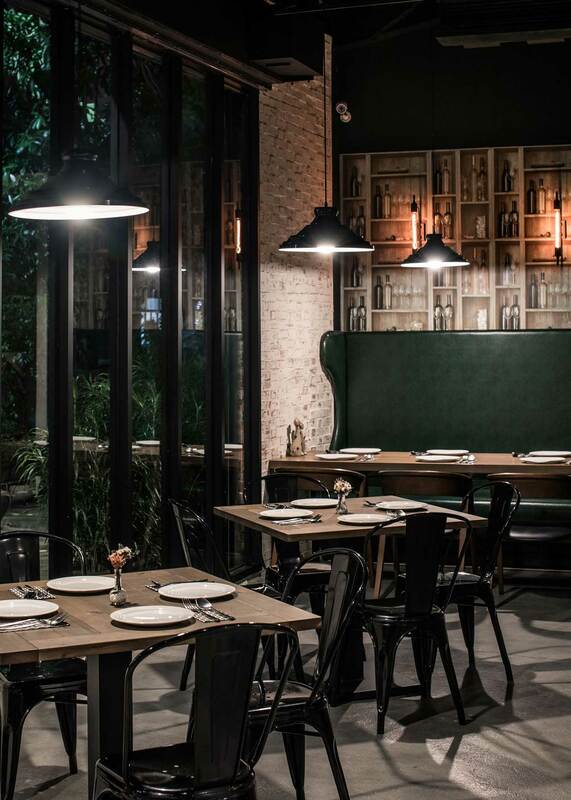 Playful vibes and a quirky attitude characterize the aesthetic language of street bistro, Gatto Bianco. 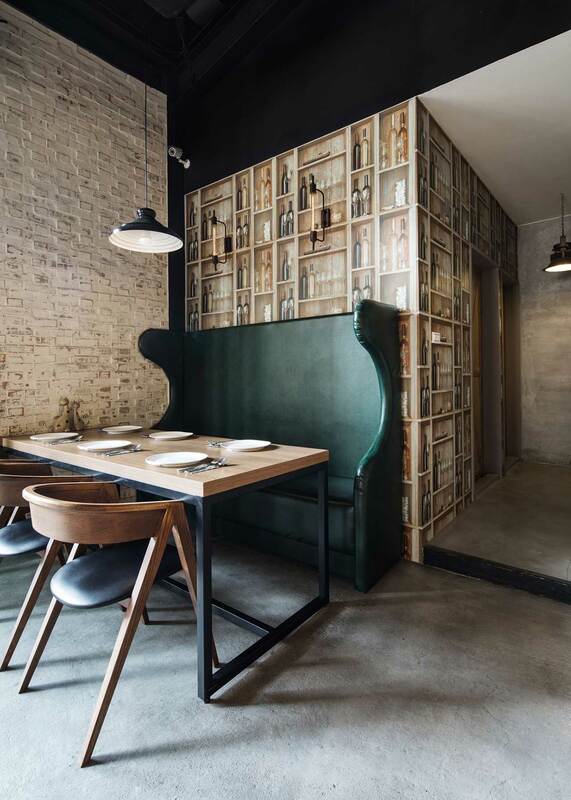 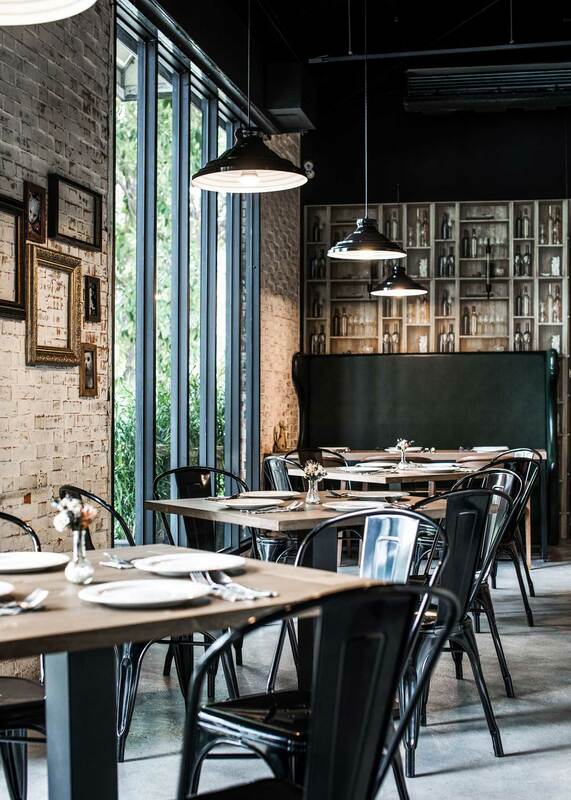 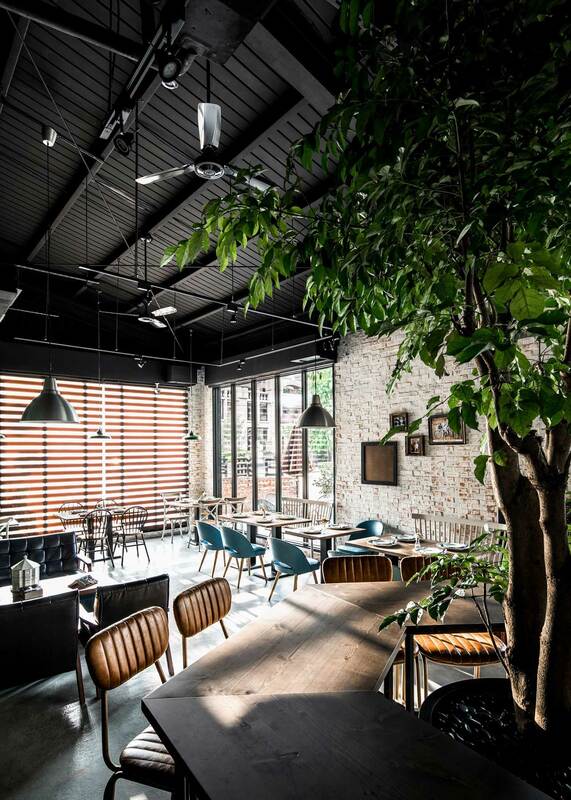 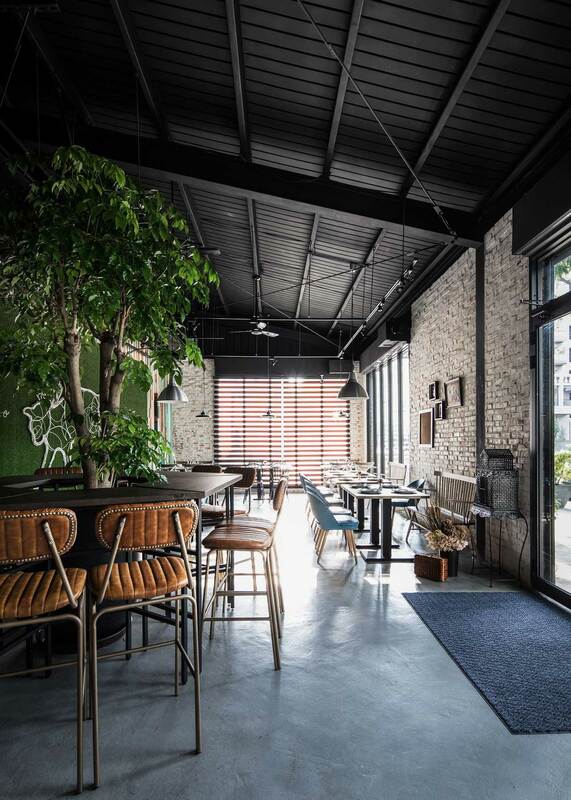 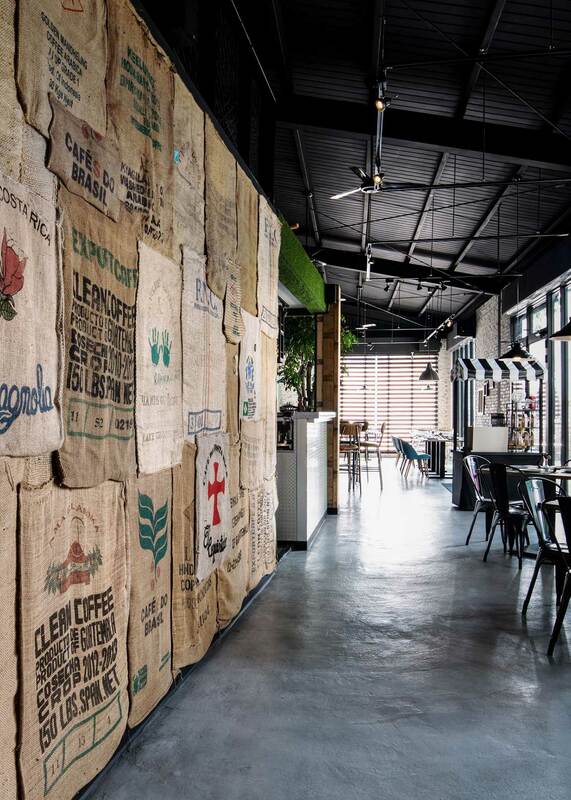 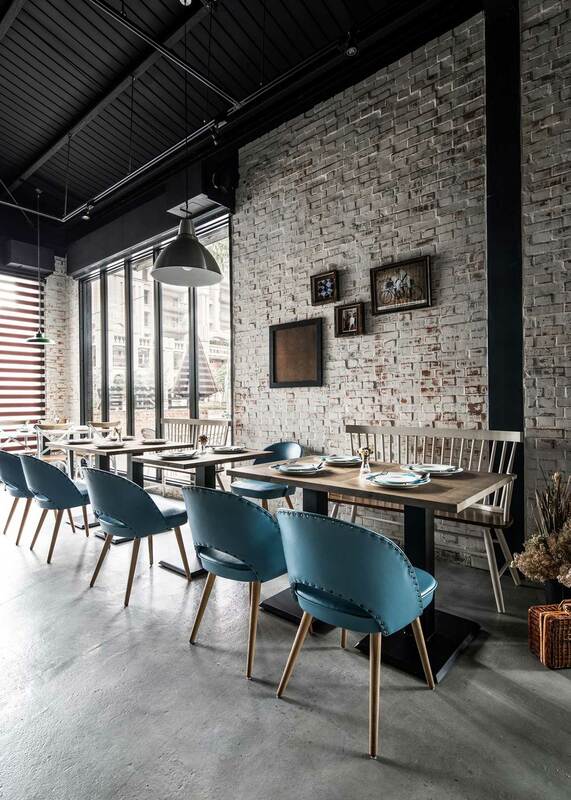 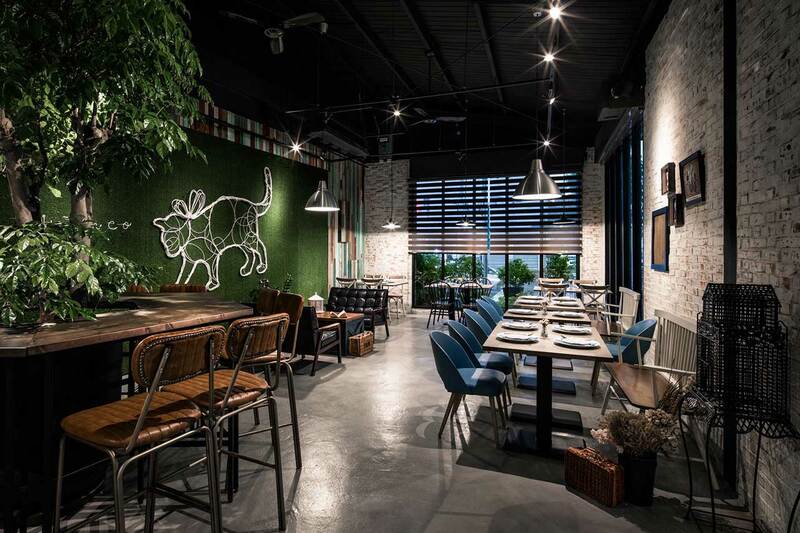 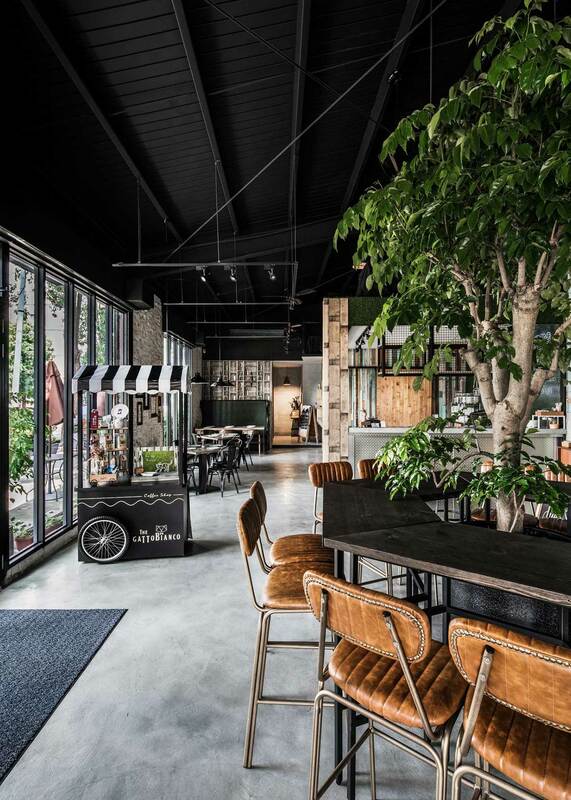 Designed by Ris Interior Design and located in Taichung city, Taiwan, this 107.5 square meter restaurant brings a European flair to its surroundings thanks to the eclectic mix of furnishings that both stand out as well as fit seamlessly within its shabby-chic backdrop. 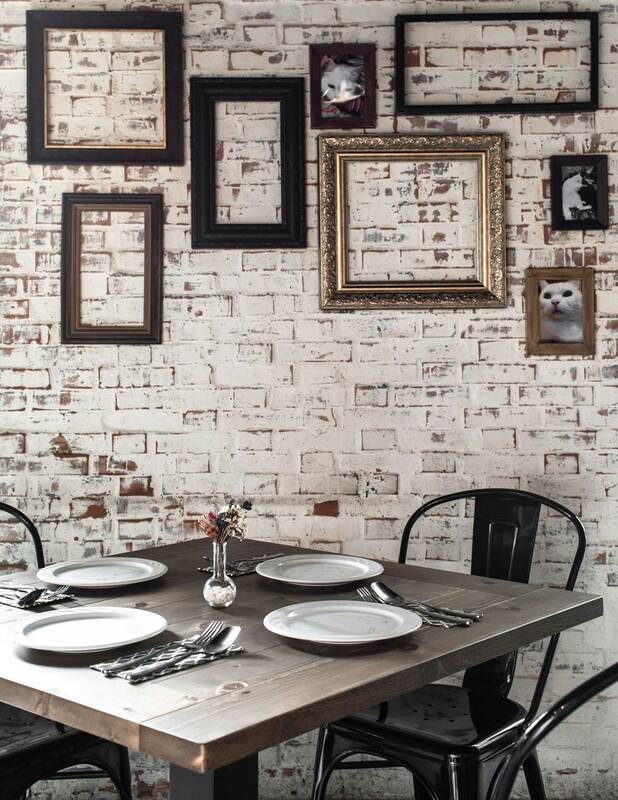 Most of the walls feature an exposed brick finish that is lightly whitewashed, adding to the "shabby-chic" element. 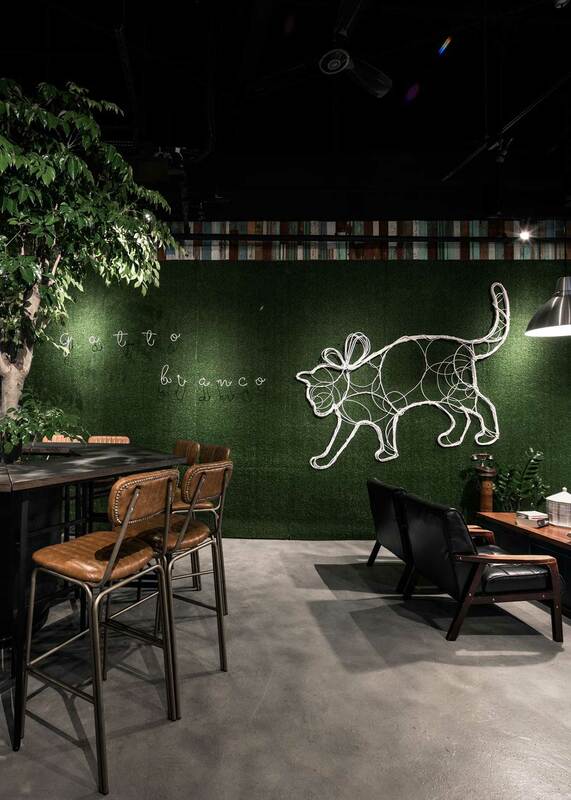 The highlight of the space is undoubtedly the white-painted, wire frame figure of a playful cat featured on a green felt-covered wall - a stand-in for a grassy turf, perhaps? 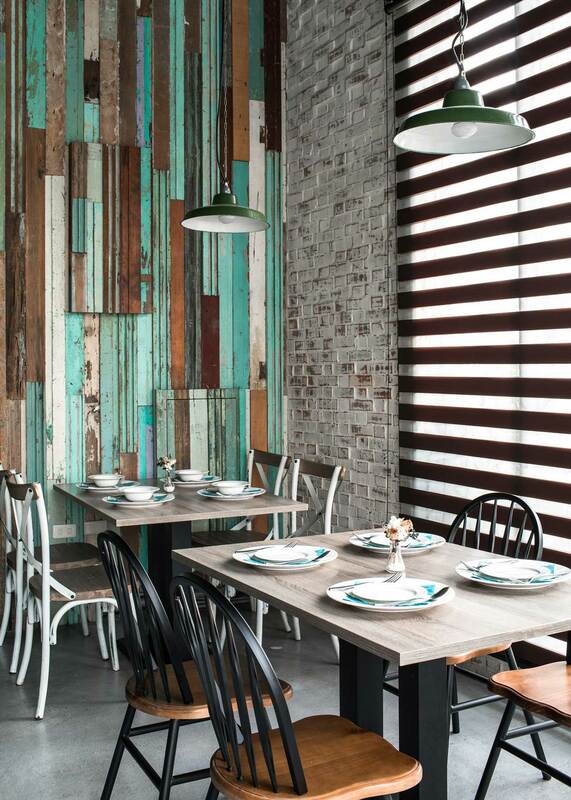 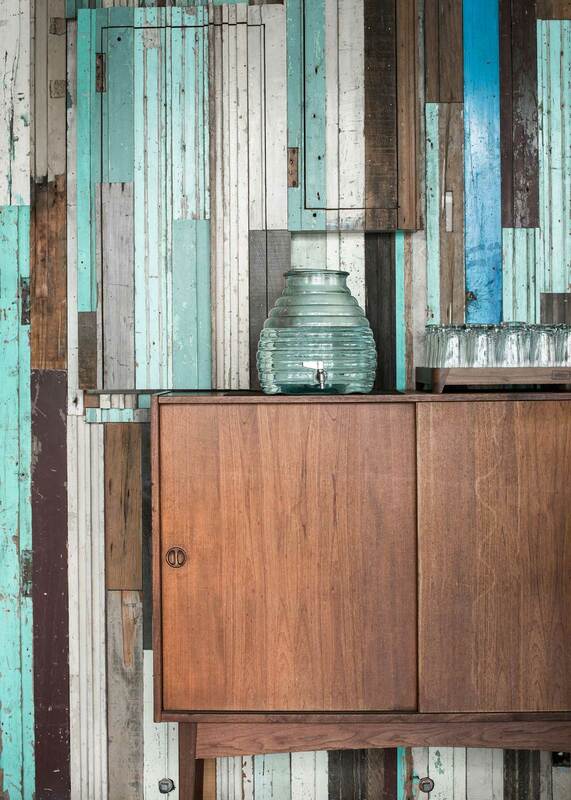 - that covers a textured, wood plank backdrop; this backdrop is painted in tones that match the general color scheme of the bistro. 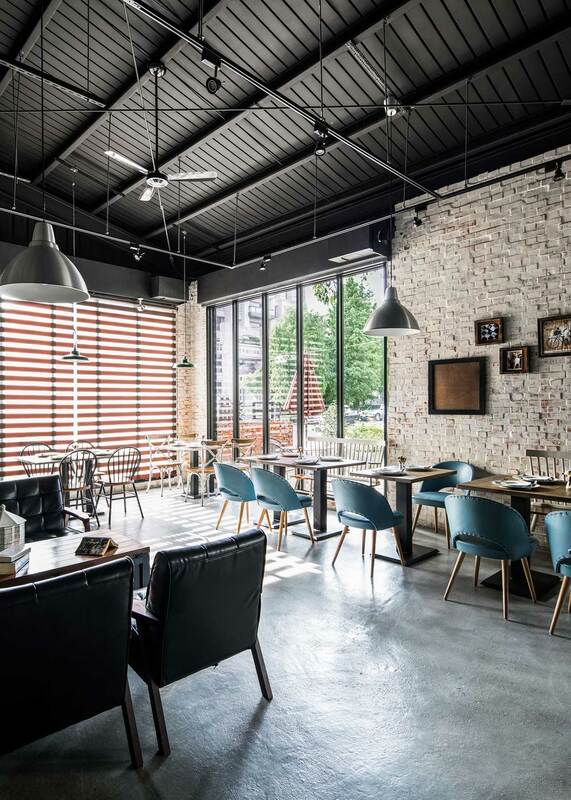 This color scheme includes warm, natural tones in shades of green, blue and black which are punctuated by natural wood elements - such as the tabletops - and the taupe colored leather of the Loft barstools. 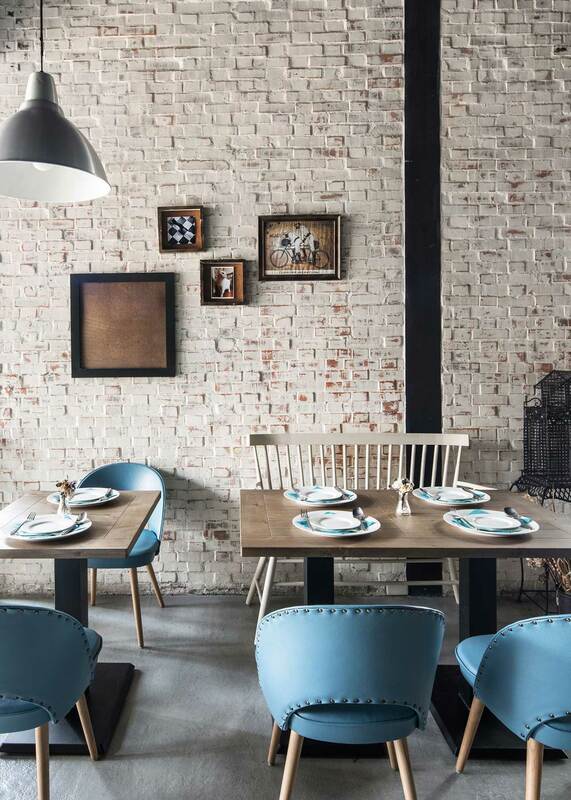 As mentioned, the mix of furniture is eclectic and includes vintage Windsor loveseats in a rich, emerald green, the retro, Danish armchairs in a full-bodied, teal blue as well as the black French industrial chairs surrounding the tables. 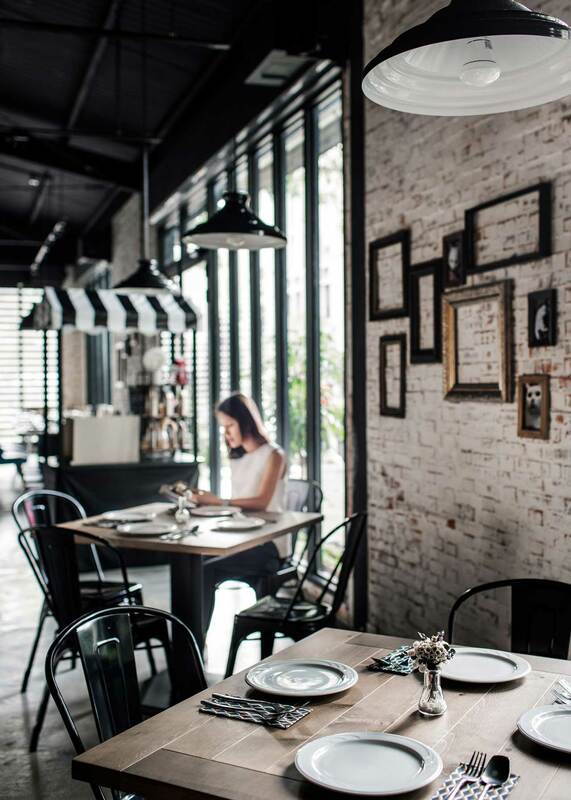 Lighting also plays a major role in the ambiance. 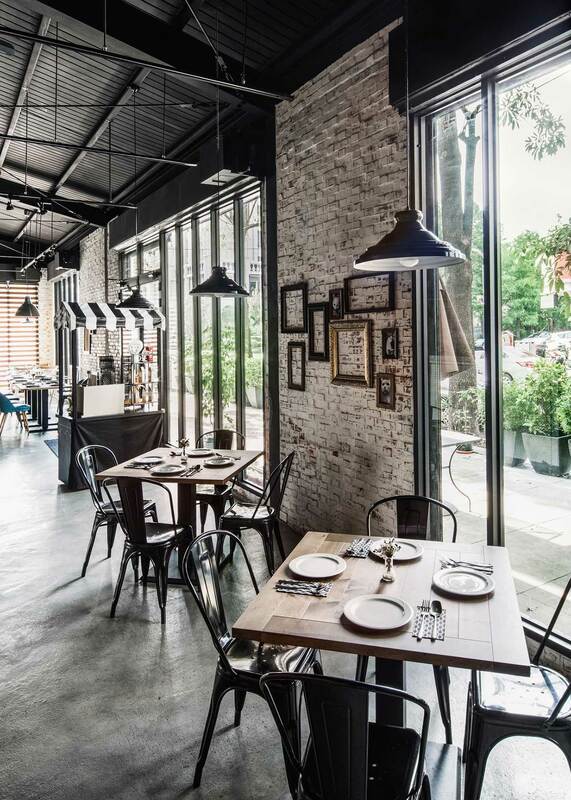 During the day, natural sunlight streams in through the floor-to-ceiling picture windows that comprise two of the bistro's "walls." 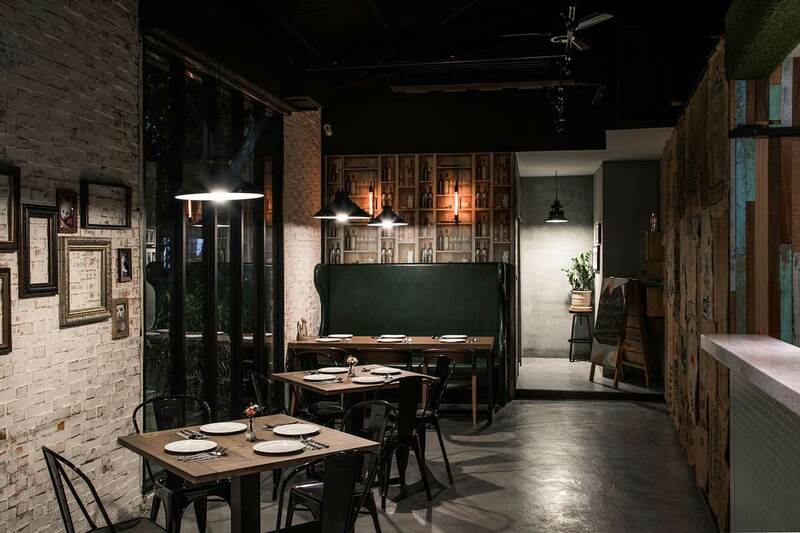 Meanwhile, in the evening, the pendant lights hanging artfully from the corrugated metal ceiling cast a warming glow on proceedings.